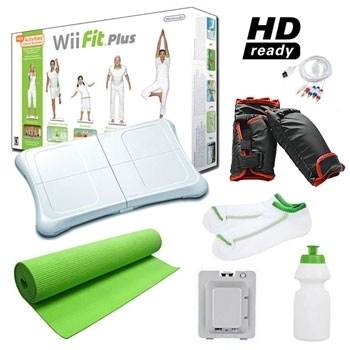 Could Wii Fit Make Me Fit? OK, I will admit it. I HATE THE THOUGHT OF PHYSICAL EXERCISE, not just exercise but the thought of it. Period. My friend, Anne, an exercise junkie, still laughs at me about the half-hour we worked out together many moons ago after someone had given her a couple of pedometers. She dutifully attached hers to her waistband, boarded her treadmill and began clicking away each step. I, on the other hand, had figured out that by gently shaking the pedometer you could appear to get a pretty good work out with the so-called count to prove it. So, Anne walked, while I lounged shaking that pedometer. The best part is, she became winded, broke out in a sweat and messed up her hair, while I continued to look as lovely as ever. Well, that was a few years ago, but now I can no longer afford to be so clever about my exercise routine. It is time for me to break a sweat. I am trying to decide what exercise route to take and am leaning toward a Wii Fit. I don’t know much about it, but apparently you can shake the controller and get a pretty good work out.